Born in England, Hilda Allen began her career in the arts as a teenager in Regina, with singing lessons and competitions. In the late 1920s and 1930s, she appeared in eighteen light Opera productions, but gradually turned to acting with several community groups, including Regina Little Theatre, in such roles as Nora in “A Doll’s House.” After a summer of classes at the Banff School of Fine Arts (her only formal Theatre training) confirmed her “natural flair,” she joined the boards of the Saskatchewan Drama League and RLT, serving both for many years. In 1943, she turned to directing with RLT, first with one-act plays and then the full-length “Watch on the Rhine” in 1945, but also continued to act on occasion, eventually including roles in professional and film productions. On average, she directed or acted in at least one work a year until 1985, not counting her best-known achievement, The Trial of Louis Riel, which she staged at Saskatchewan House every summer from 1967 to 1985. Among her proudest accomplishments was her production of John Steinbeck’s Burning Bright, with John Vernon in the cast, a Canadian premiere for which she received a warm letter of appreciation from the author. At the same time as her work for RLT, she directed several large-scale musicals for the IODE in the 1970s, appeared with the Regina Symphony Orchestra, and actively supported many arts groups. 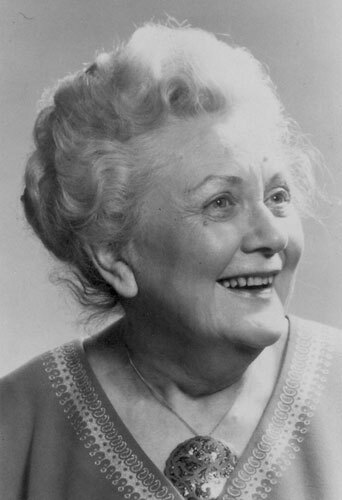 For her work, Mrs. Allen received the Canadian Drama Award in 1950 and the Saskatchewan Order of Merit in 1985.